In a small bowl, whisk together lemon zest and lemon juice. Slowly drizzle in melted extra virgin coconut oil, whisking constantly, until the dressing is mixed well. 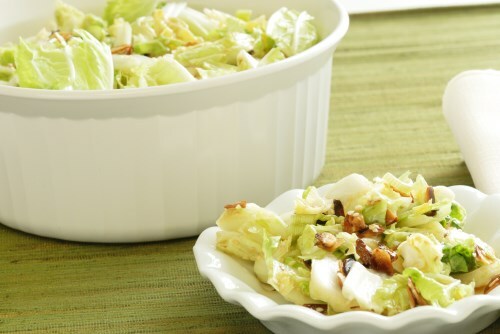 In a large bowl, toss together the sliced napa cabbage, sliced romaine lettuce, parsley and basil. Mix in the dressing, salt and pepper. Gently toss until dressing is distributed evenly. Top with chopped pistachios. Enjoy!